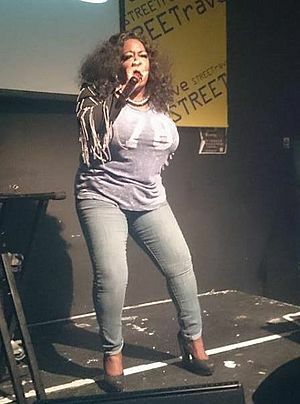 Kym Mazelle (born 1960) has been called the "The First Lady of House Music." An honorary street name sign in Chicago for house music and Frankie Knuckles. Swedish House Mafia performing in 2011. House music Facts for Kids. Kiddle Encyclopedia.